When it comes to perfecting your home, basement remodeling is often viewed as one of the best options for creating more usable space. But without the right type of flooring, these renovation projects may not deliver the results you would like. 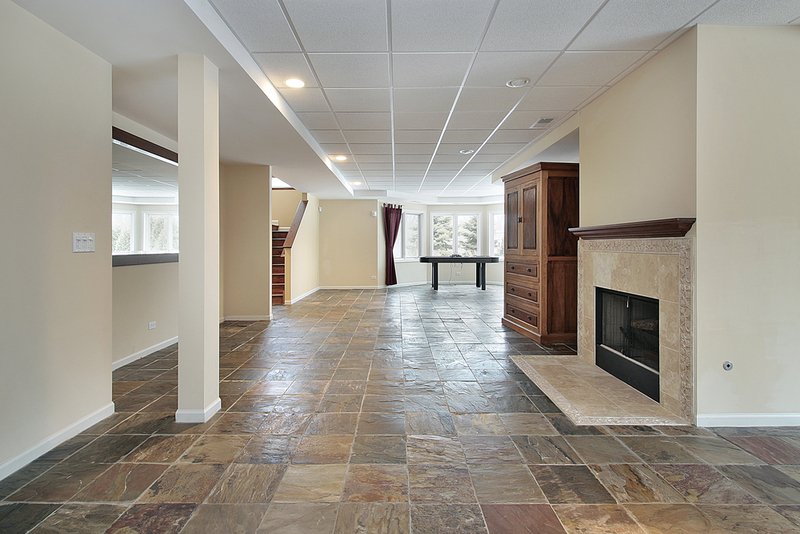 By considering a few important factors, you can ensure that you’ll have the right type of flooring for your basement. Basements typically experience higher levels of moisture than the rest of the home. Their underground location also make them more vulnerable to flooding. Because of this, wood flooring typically isn’t recommended for a basement, especially in high-humidity areas. Generally speaking, vinyl flooring is considered the best option because it is waterproof, dries quickly, and is relatively easy to install. However, ceramic tile & stone can also be effective, as they are similarly durable and waterproof. In low humidity areas, homeowners have more options, such as engineered wood, thanks to a reduced risk of moisture buildup. The way the available space will be used after the basement remodeling is completed should also be a key consideration when choosing a flooring type. After all, noisy tile flooring isn’t ideal for a home movie theater or an extra bedroom. In these situations, stick with low-pile carpeting. This type of flooring is more comfortable on the feet, while also offering superior sound absorption over other basement floor selections. By considering these essential elements of your basement remodeling project, you can find the right flooring type for your needs. Still not sure how to complete your project? Serving the Lincoln, NE area since 2005, InsideOut Renovations provides expert industry knowledge and extensive remodeling experience to ensure a quality outcome. To learn more about their services or to request a free estimate, visit them online or call (402) 474-0028.